Photo by Esther Bubley for the Office of War Information. October 1943. 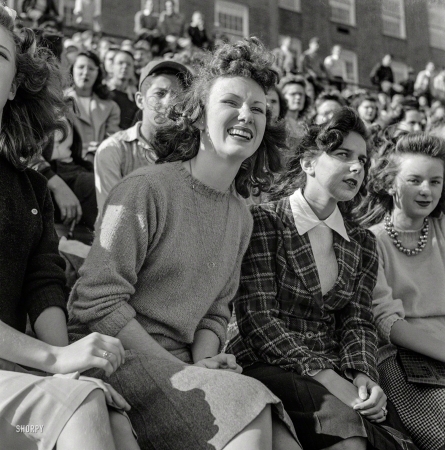 Washington, D.C. "Football fans at Woodrow Wilson High School."